Contractions were something I couldn't imagine. Contractions were something I tried to ask previously pregnant friends about. Contractions were a mystery. They are a mystery until, of course, they take over your entire body and you can think of nothing else. I remember naively asking my mom, "But mom ... how will I know the difference between Braxton Hicks and real contractions?" She smiled and assured me that I would just know. 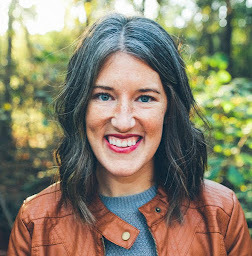 If I could go back in time, I would say, "Well, Claire, once you start feeling like someone has set your body on fire, you'll know those are the real ones." The contractions gradually evolved from, "Hmm ... Colt, I think this may be a real contraction," to, "I'm going to have to stand up. Colt, this kind of hurts," to, "Colt!! Come in here!! I'm having another one!!" I knew they were real when I had no choice but to stand up. I also thought, there's no way I'm sleeping tonight with this pain. And yes, I was right about that. Once I realized this was the real deal, I started recording them. I wanted to know how far apart they were so we had legitimate information when calling the hospital. 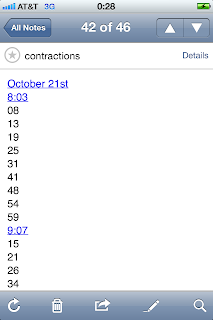 Keeping track of the contractions also helped as they got worse. It gave me something to do and something to help pass the time. You may think I'm crazy, but I highly suggest it. I came across this note in my phone the other day, which is why I thought to write this post. 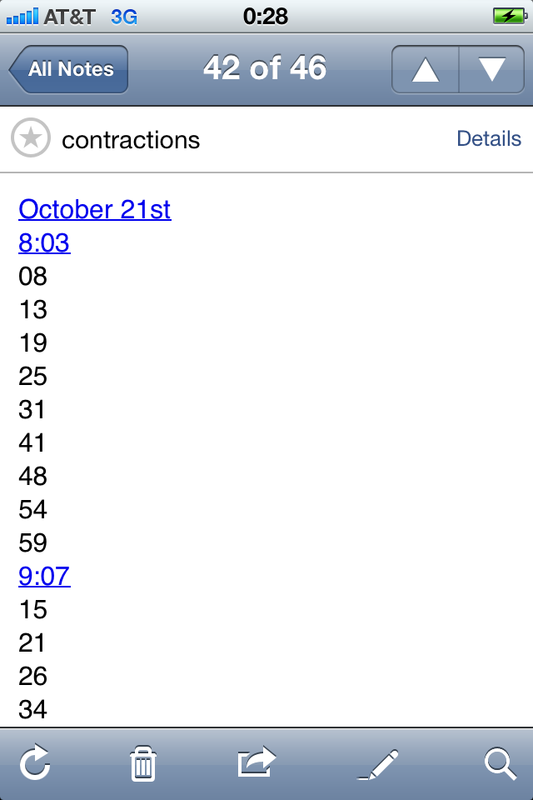 Here is the record of my contractions from the moment I started noticing that they were real and consistent. We ended up calling the hospital (I think around 11:30 p.m.) to figure out what we should do. They told us to come in so we both showered and headed out the door around 1:30 a.m. And, like I said in Duke's birth story, I arrived and was at a 4. Maybe this will somehow help some of you as you approach labor for the first time. Happy contracting! That's an ironic post title, Claire! Happy CONTRACTING?! I mean, I didn't go through it but reading your post about it, I can't imagine it's a happy time...! You're a brave soul! Thanks for sharing this lil' tip! oh, it wasn't happy at all! no way!